For #StampingSaturday this week I decided to add to a mani I had already done. I took Seche Irresistible* and embellished it. I took off my ring finger polish and replaced it with Kays Masquerade. I got Masquerade in my Ninja Polish Grab bag, which I'm so happy I purchased! 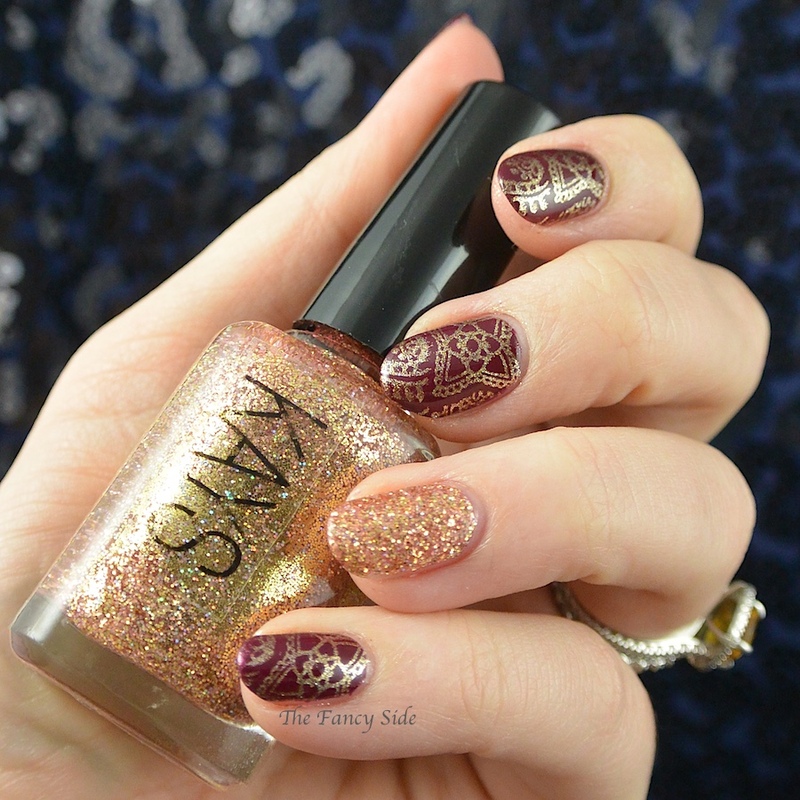 Masquerade is a gold and pink glitter bomb that is super pretty and covers completely in just two coats. 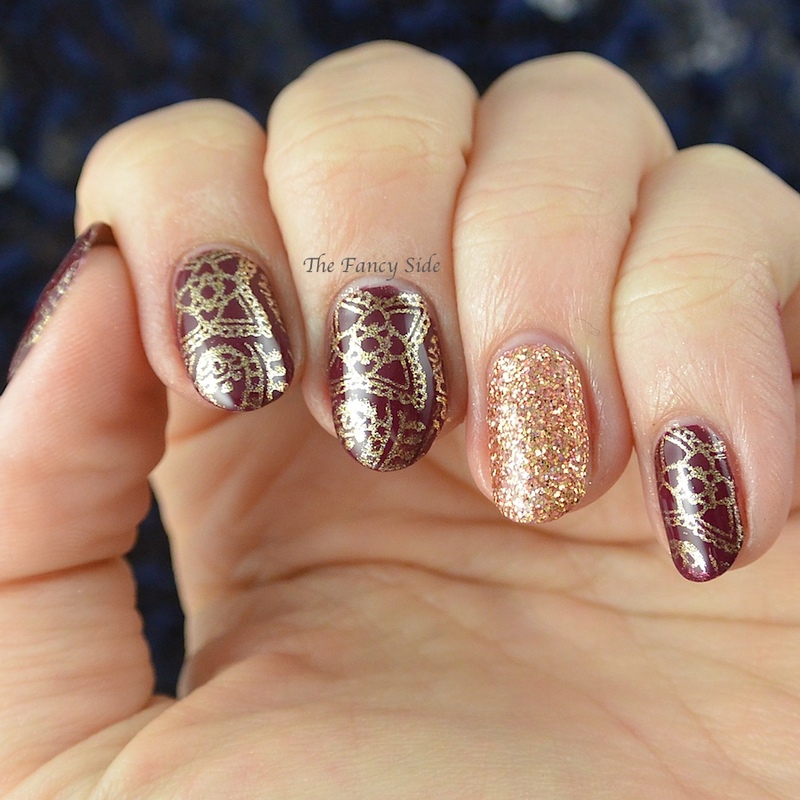 I then used Orly Luxe and MoYou Explorer Plate 03 to add some henna type looks. I hope everyone has a fun weekend! We're going to a Broadway Show tonight as part of my Christmas gift and I'm so excited! Can't wait! Be sure to check out the other stamping ladies below and join in your self!! It was so fun to open up each one and be surprised!